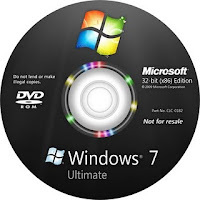 Lost your Windows 7 OS Product / Serial key, don,t worry there are lots of tool available which allows you to find and recover Windows 7 Product key easily. Normally the Windows 7 product key is located with the original CD or DVD. But you can also find it in the Windows Registry but this can be very difficult to do. So here today we will discuss about 5 Free tool Which helps you to find your Windows 7 Product keys. 1. Windows 7 Key Finder: Windows 7 Key Finder is a free software to find your Windows 7 Product key, it help you find serail key with a single click. Just download it and use it on your Windows 7 operating system, to find your Windows 7 product key, to retrieve a lost product key and to get additional information about your Windows 7 operating system. 2. Winkeyfinder: Winkeyfinder is laos free utility that retrieves product keys from the Windows registry. Finds product keys from the Microsoft Windows 7, Vista, Server 2003, XP, 2000, ME, and 98 operating systems.. It also supports MS Office 2007 and 2010 32 bit OS, Soon 64 bit Office will be support. 3. ProduKey: ProduKey is one of the best free key finder program. ProduKey will automatically display the product keys and serial numbers for many different Microsoft based applications. 4. Product Key Finder: Product Key Finder currently supports retrieval of 200+ licenses from applications such Microsoft Windows, Microsoft Office and Adobe Acrobat. 5. WinGuggle: WinGuggle is pretty easy to use and simple window 7 product key finder tool, just download and run it will show you the Windows 7 Serial key within a second.